Textile Plus Screen Printing & Embroidery is a full service custom screen printing and embroidery company. We have been in the screen printing and embroidery business for over 25 years, delivering quality designed and printed garments to the Southeastern Massachusetts area. We are in the business to serve the customer—using our expertise to provide them with the best possible garment choice, quality design, and reasonable cost to meet their budget. The visual message has always been a subtle but powerful form of recognition. Whether you are promoting the name of your company, product identification, and services, or affiliation to a team or school, Textile Plus is ready to assist you with your investment. Regardless of the size of your order, you will receive the professional and friendly service you deserve. Your satisfaction is our main priority. I just wanted to let you know I LOVE the shirts [for my son’s birthday party]. They came out great! Thank you so much for your wonderfully creative help. I will most certainly use you again! Doesn't just make custom embroidery; they make sure it looks awesome! Our state-of-the-art equipment, along with the experience of our pressmen, guarantees quality & customer satisfaction. When you’re looking for that professional look to sets you apart from the rest, our quality embroidery can make all of the difference. Need artwork? We can take care of that for you! Our designer is ready to whip up something fantastic for your every need. Normal turn-around time is 10 working days, except for certain times of the year (Spring/Fall) when we are our busiest. Turn-around time is only an estimate, is not guaranteed, and starts when we receive your deposit AND we have all information to complete your job. Complex designs or orders with extra set-up may increase turnaround time. I need an order done in a rush! Can you do it? Rush jobs are generally run after working hours, so as not to interfere with our currently scheduled jobs. We can take on your rush job, however, for an additional fee of 15% of your order (minimum of $50). Can I supply my own products, or do I have to order them through you? If you would like, you may supply your own garments. We ask that you supply at least one extra garment per style/size/color in the event of a misprint. If there are no misprints, you will receive the extra prints at no charge. Can you do (insert idea here)? Maybe. Why don’t you drop us an email or give us a call, and we’ll see what we can do! Art that is “100% ready” for production means that an art staff member will be required to open a digital file and hit print. Digital files include designs from a professional graphics program and may be emailed to us in a vector format, such as an .AI, .EPS or .PDF file. If any further action is needed then art charges will be billed. Do I have to supply my own art? No, supplying your own artwork is not required. We have an art design service that you can choose to use instead, fees for which are determined based on complexity of the design and how long it takes to set-up. 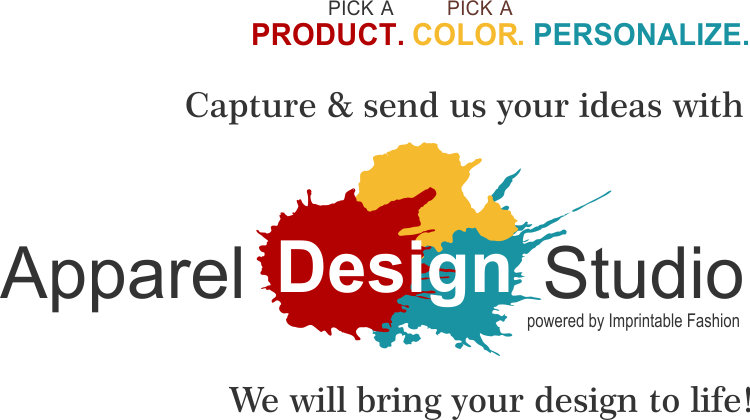 Feel free to contact us for information regarding your specific design idea. Will my art work on any type of garment? Most of the time it will, but if your art is detailed, there may be limitations. It is best to tell us ahead of time so art may be designed properly for the different types of garments you may be ordering. Do you require payment upfront? We need an upfront deposit of at least 50% to start working on your order. You may pay for the entire order ahead of time, if you wish, though it is not required. Cash or Personal/Business Check are preferred, though we will also accept Visa, American Express, Discover, and Master Card. Purchase Orders may be accepted for schools. Due to the set-up involved, the number of items ordered must meet our minimum of 12. They must all be printed using the same colors and same locations. Anything that requires extra set-up to print (i.e. pocket t-shirts, sleeves, infant apparel, jackets, etc.) should also have a minimum of 12 pieces to make the set-up cost effective. How many ink colors can I use for screen printing? Yes. Different shirt colors are okay as long as the ink colors are the same. If we need to change ink colors mid-job, additional fees will apply. There is no limit for embroidery! Feel free to order/bring in as many pieces as you need. Interested in placing an order? Would you rather discuss your options in person? Feel free to either call us, email us, or use the contact form. We look forward to working with you and serving your apparel needs! The most common form of printing, spot color printing uses a full-tone of color to create an image. Each color in the image is printed separately on its own screen, and up to 6 spot colors can be printed on one location. An inexpensive way to make a photograph or other multi-color image into apparel. A grayscale of the image is created using full and half tones of black. Then the image can be printed in that “grayscale” version on a garment in any print color you choose. 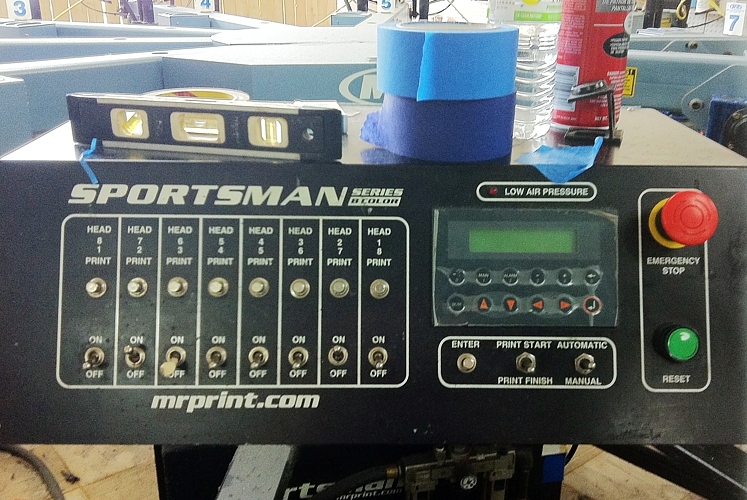 Our equipment consists of a six color, four station manual that enables us to print caps, sleeves, pockets, legs and other locations. 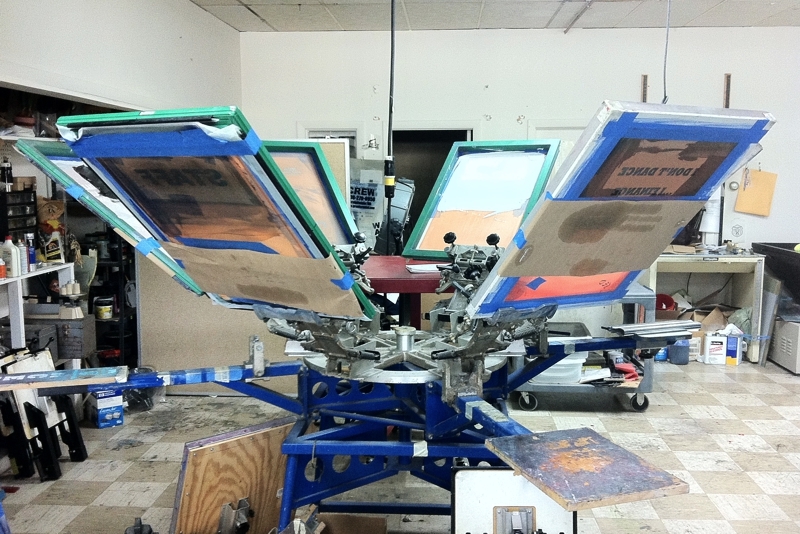 For the larger orders, we have an eight color, ten station automatic that has the capability of printing 700 shirts an hour. Our drying process is a M&R Mini-Sprint gas dryer (affectionately nicknamed “The Blue Dragon”), running at 400 degrees insuring the ink is properly cured to the garment. High quality, professional looking garments can be produced on our automatic, high-speed embroidery machines. Pricing is determined by the stitch count. Designs with a lot of background fill will be significantly more than designs with mostly text, for instance. Applique embroidery is the process of utilizing pre-cut lettering or material to fill in the area of design to be embroidered. Embroidering this way provides cost savings for larger embroidery, especially with background fill, while still creating a vibrant, textured imprint. Pricing is determined by the size of the letters, number of letters, and the number of layers in the design. We proudly use Tajima-Hirsch machines. For over 20,000 stock embroidery designs available for purchase, visit Dakota Collectibles. Whether you're looking to duplicate an existing design or develop something brand new, we can accommodate. Just discuss your needs with us, and let our graphic artist take care of the rest! If you're interested in making your own design, then why not give our Apparel Design Studio a try? You can email the designs directly to us through the program, where we can adapt it to work for your order!